Imagine yourself, alone on Purge night and your only safe haven from the ruthless purgers is Universal Studios Hollywood. You would think that this wholesome family theme park would be secure from such atrocities. Well, this year at Halloween Horror Nights, you couldn’t be more wrong! The First Purge comes alive at this years event! 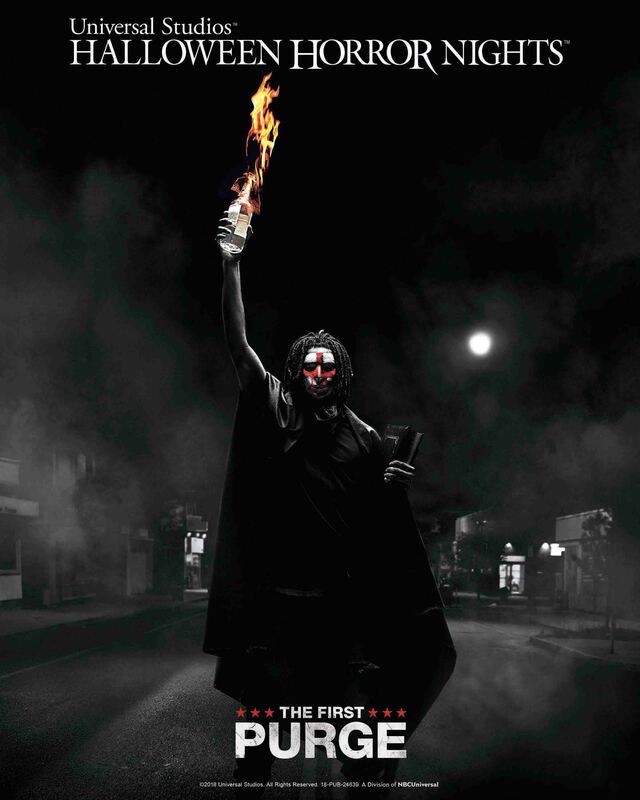 Below are the bloody details on bringing The First Purge to one of the Nation’s TOP Halloween events!